The siblings of children with Autism Spectrum Disorder have a 90% incidence of speech and language delay and an 11% increased risk for Autism Spectrum Disorder (ASD). This proposal hypothesizes that the siblings who are not vaccinated will have a smaller incidence of ASD than the 11% already projected, as well as other developmental differences. The incidence of ASD in siblings will be lower in the unvaccinated population than vaccinated. The siblings of children with ASD provide a fertile ground to follow the neurodevelopmental progression of an at-risk population, and the effects of vaccinations on development. The siblings also provide a “window of opportunity” to observe any potential interactions between vaccinations and the diagnosis of ASD. It is very common for parents of children ASD to avoid vaccinating siblings in the first five years of life. This provides an interesting opportunity to observe and see possible correlations between vaccinations and ASD. First, let me note the wording of that webpage: “Recently Funded SafeMinds Investigations”. Not Investigations Recently Funded by SafeMinds. Their choice of word order is poor. It implies that these are “SafeMinds Investigations” and not really independent. I will note that SafeMinds were more careful at the top of that page in how they framed the projects they have funded, but still, I would change the “SafeMinds Investigations” if I were they. When I searched for information on the principle investigator for the SafeMinds study, I found a 2007 announcement for the study: Vaccinated/Unvaccinated Autism Baby Sibling Study, Carole Samango Sprouse, Ed.D., The Focus Foundation. Research does take time, something I wish SafeMinds made more clear in their public statements. 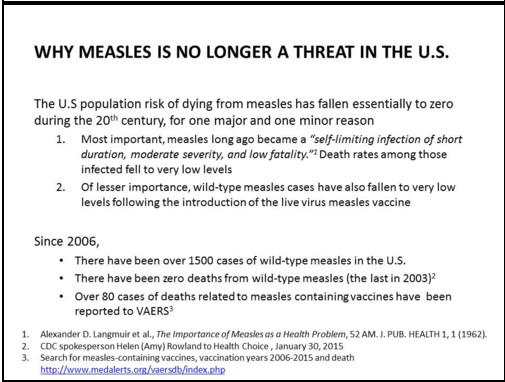 It’s been seven years, though, and I haven’t seen this vaccinated/unvaccinated study published. The only payment I’ve seen in the SafeMinds tax forms to support this project was relatively small, $24,250 in 2006, so perhaps it wasn’t well enough supported to complete. Perhaps I missed the other support. The principle investigator on the SafeMinds funded study has published a different study on autism and vaccines: Survey of Vaccine Beliefs and Practices Among Families Affected by Autism Spectrum Disorders, and remains active in disability research. When we consider the question of studies comparing vaccinated/unvaccinated populations, there are at least 4 in various stages. Four. That, plus the number of statements one can find online calling for such a study and we see a very strong interest in this type of study. 1) The self-named “National Vaccine Information Center” is funding a project at George Mason University. I believe this is being performed by a member of the NVIC. 2) Generation Rescue (and others) are funding a project at Jackson State University. 3) The SafeMinds funded study noted above. 4) the study about to be published. Again, with this high level of interest, where was the response to the announcement that a vaccinated/unvaccinated study is nearing publication? This question gets brought up a lot by some parent advocates. The are informed by groups promoting the idea of vaccine causation that the government is blocking this work. The evidence points strongly away from vaccines as a primary cause of autism, and investment in this area doesn’t seem wise. At least that’s the viewpoint of the majority of parents (including myself), autistics and researchers. 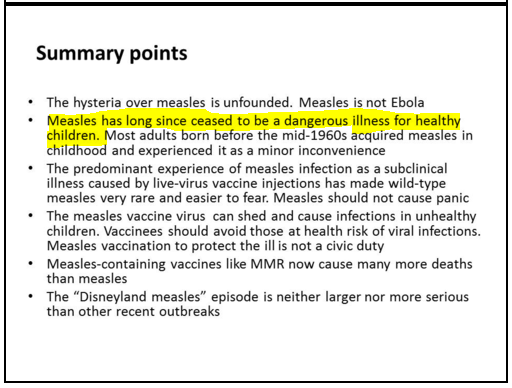 But some remain unconvinced and want vaccine/autism research performed. And they are upset that none of this work is being performed. Here’s a different question: why are the groups who promote the idea that vaccines cause autism failing to inform their members that, yes, indeed vaccine/autism research is being performed? Or, to put it simply: vaccine/autism research is being performed and it’s being funded by the government. But you wouldn’t know that if you read, say, the Age of Autism blog, Generation Rescue’s website, SafeMinds’ website, or the other groups advocating for this research. If you are interested in vaccine/autism research and you are reading about these projects for the first time here, ask yourself “why have these orgs not informed me of this?”. As noted here recently, Tom Insel discussed an upcoming vaccine/autism study. Already commissioned, performed and in the publication stage. That announcement was in April. What was the response from the community that has pleaded for vaccine/autism research? For the first few months: Silence. In July, SafeMinds finally put out an article showing that they were “worried” about this study. I don’t see much discussion of this announcement from other groups or outlets. I’m not surprised by this. I’ve noted before that work on areas such as vaccines, mercury, environmental risk factor research and GI dysfunction don’t get discussed by the groups that are focused on these topics. I’ve covered the research in these areas more than they have. So let’s get back to what other work is going on in vaccines and autism. Let’s start with the simple question: how would you find out? One place is the IACC/OARC Autism Spectrum Disorder Research Portfolio Analysis Web Tool. That could use updating, but it is an easily searchable database. Another place is NIH Reporter. It’s less easy to use than the Portfolio Analysis Tool and includes all of NIH. I.e. it covers non autism topics and doesn’t include projects being done outside of NIH (say, by Autism Speaks or other private funders). But, search Reporter for autism and vaccines or mercury and what do you get? Quite a number hits. Let’s consider a few. There’s a study by Ian Lipkin’s group at Columbia titled: GENE-ENVIRONMENT INTERACTIONS IN AN AUTISM BIRTH COHORT. There’s a study by Gene Sackett’s group, A PRIMATE MODEL OF GUT, IMMUNE, AND CNS RESPONSE TO CHILDHOOD VACCINES. This appears to be a follow on project to the Laura Hewitson studies that were discussed a great deal online a few years ago. Judy Van de Water’s group at UC Davis MIND Institute has a project IMMUNOLOGICAL SUSCEPTIBILITY OF AUTISM. Here’s a 2014 grant to Ray Palmer, well known to the groups promoting mercury as a cause of autism, PRENATAL TIMING OF HEAVY METAL EXPOSURES FROM AUTISTIC AND NON-AUTISTIC CHILDREN. The EPIDEMIOLOGICAL RESEARCH ON AUTISM IN JAMAICA – PHASE II project is continuing (hence the Phase II) and includes work on mercury. There are more projects. Some I left out because they are older. But I think the point is made and is very clear: vaccine/autism and mercury/autism research are being funded. And that is without even discussing how research on the biology of autism feeds into all etiological questions. Whether it’s vaccine, genetics or what have you, if you understand the biology, you have a better chance of understanding the cause. (when I searched NIH Reporter with the terms Autism and Immune, I got 25 pages of hits. Sure, not all are on-topic, but that’s 25 pages, 606 topics). Here are the full abstracts–with emphasis added by me–for the NIH Reporter projects mentioned above. GENE-ENVIRONMENT INTERACTIONS IN AN AUTISM BIRTH COHORT. Reports of increasing prevalence of autism spectrum disorders (ASDs), a set of highly genetic conditions, are intensifying interest in the role of environmental exposures, including infectious, immune, and toxic factors. Retrospective studies exploring associations between environmental factors and ASDs are compromised by selection bias, small sample sizes, possibly invalid diagnosis, and absence of biologic measures. This prospective study will employ an unselected birth cohort of 75,500 in which cases are ascertained through screening of the entire population, diagnoses established using uniform procedures, extensive histories and clinical data obtained, and biologic samples collected serially throughout pregnancy and early childhood. The application of high throughput laboratory assays to derive maximal information from developmentally-influenced, finite, and nonrenewable biologic samples, and inclusion of early screening and diagnostic assessments, will permit an unprecedented, rich view of the longitudinal trajectory and nascent signs and symptoms of ASDs, facilitate discovery of biomarkers, and afford unique insights into the role of gene:environment interactions in ASD pathogenesis. Specific aims are to: (1) establish the autism Birth Cohort (ABC) through ascertainment of cases of autism spectrum disorder (ASD, N=150-233) and selection of controls (N-1000) from the Norway Mothers and Child (MoBa) cohort; (2) examine biologic pathways that may predispose to ASD, through evaluation of immune, endocrine, and neuroregulatory factors in mothers during early gestation or at birth and in children, at birth or 30 months postnatal; (3) identify environmental factors that may be directly or indirectly associated with ASD, including pre- or postnatal infection, vaccination, very low birth weight or other obstetric risk factors in which infections are implicated, dietary and/or environmental exposure to methylmercury; (4) describe the natural history of clinical, anthropometric, and neurobehavioral features of ASD; and (5) explore genotypic influences that may be directly or indirectly associated with ASD by testing associations of ASD and/or its endophenotypes with family history of autoimmune disease or selected candidate genes, and investigating conditional gene-environment effects using antecedent factors found to influence ASD risk. A PRIMATE MODEL OF GUT, IMMUNE, AND CNS RESPONSE TO CHILDHOOD VACCINES. This subproject is one of many research subprojects utilizing the resources provided by a Center grant funded by NIH/NCRR. Primary support for the subproject and the subproject’s principal investigator may have been provided by other sources, including other NIH sources. The Total Cost listed for the subproject likely represents the estimated amount of Center infrastructure utilized by the subproject, not direct funding provided by the NCRR grant to the subproject or subproject staff. Diagnoses of childhood developmental disorders involving autism-spectrum symptoms are increasing, estimated to affect 1 in 100 children in the United States. 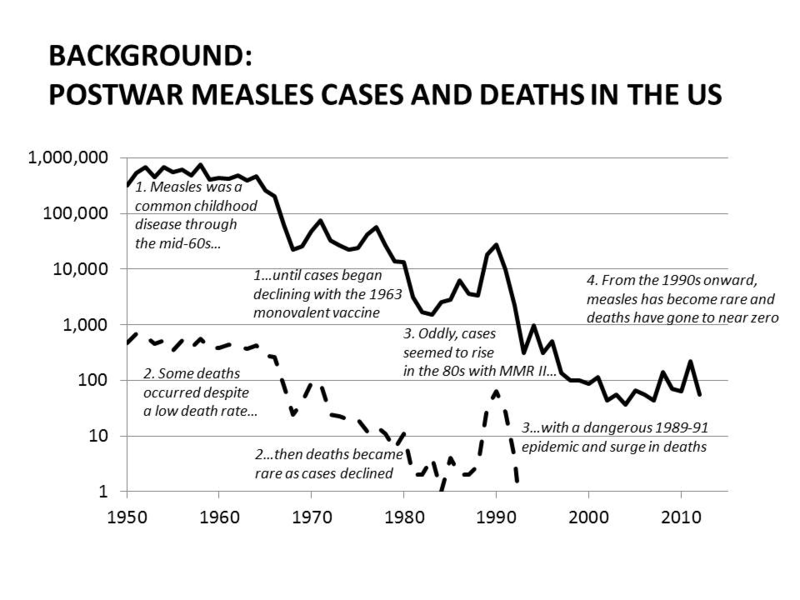 Childhood Vaccines have been hypothesized to be contributory factors to this increase. The childhood vaccine regimen has an experimentally unstudied potential for cumulative and synergistic toxicities and possible immunologic interference to normal development. A prior study developed a primate model to assess neurodevelopmental consequences of the 1994-1999 pediatric thimerosal vaccine regimen (1994-1999). Significant neurodevelopmental deficits were evident for vaccinated animals in survival reflexes and standardized cognitive tests, and exposed animals developed gastrointestinal inflammation associated with focal transmural colitis, lymphoid hyperplasia, and syncytia. The long range goal is to determine if exposure to environmental toxicants early in development contributes to the etiology of neurodevelopmental disorders such as autism. A related goal is to determine whether susceptibility to autoimmune disease increases the neurotoxicity of environmental contaminants and increases the risk for developing disorders such as autism. Understanding how exposure to environmental toxicants may contribute to the etiology of neurodevelopmental disorders is important so that the exposure risks can be identified and minimized. If immune system dysfunction is found to increase the risk of exposure to environmental toxicants, then exposure limits to toxic substances can be lowered, and children with immune system dysfunction who may be at increase risk can be identified and protected. The specific aims are to expose mouse strains with low (C57BL/6J) or high (SJL mice) susceptibility to autoimmunity perinatally to either methylmercury (MeHg), polychlorinated biphenyl 95 (PCB 95) or polybrominated diphenyl ether 47 (BDE 47). We will then compare the effects of toxicant exposure between these mouse strains on brain development, complex social behaviors, and immune system function. The hypothesis is that perinatal exposure to each of these toxic substances will impair brain development and behavior, and that suscepbility to autoimmune disease will increase the neuro- and immunotoxicity of these agents. We will also explore a potentially new model of autism in mice injected prenatally with unique autoantibodies isolated from the serum of mothers who have given birth to two more more autistic children. Brain development will be examined histologically using stereological procedures and immunohistochemistry. Complex social behaviors will be studied using behavioral testing procedures established in our laboratory that measure social recognition, social interaction and social communication in mice. Immune system status will be established by measuring cytokines, chemokines, immunoglobulins, and quantifying immune system response to antigenic stimulation. In addition, seizure susceptibility will be measured in toxicant-exposed mice as well as measures of synaptic excitibility and plasticity in hippocampal brain slices. These studies will provide critical new information on the role of the immune system and its interaction with environmental contaminants in autism and other neurodevelopmental disorders. Recent studies indicate that immune function in children with autism spectrum disorder (ASD) is profoundly altered compared to developmentally healthy controls. There is a strong interface between the immune system and the neurologic network, and successful neurodevelopment is contingent upon a successful interaction between these two systems. We have identified several aspects of immune dysfunction in patients with autism compared with typically developing controls. These include a reduced response to vaccine antigens of bacterial origin, altered cytokine levels in plasma and upon stimulation of PBMC, increased levels of leptin in patients with early onset autism, and autoantibodies to brain antigens. This wide and complex variety of immune anomalies noted in our first funding period is in keeping with the broad range of phenotypes encompassed by the autism spectrum. Thus, we will build upon our earlier findings of both serologic and cellular changes in immune function. While our studies in the previous project period were aimed at a broad analysis of immune function in patients with autism, the current proposal will address the mechanisms responsible for the numerous alterations in immune homeostasis uncovered in our earlier studies. Therefore, our primary focus will be on the mechanisms responsible for such anomalies in immune function through an in depth analysis of cellular immune function. Our overall hypothesis is that patients with autism have a fundamental defect at the cellular level that ultimately leads to abnormalities in immune function and heightened susceptibility to environmental triggers. To examine this, we propose to: (1) examine longitudinally the serologic profile of children with ASD to ascertain whether the various immune changes noted in our first studies are maintained and/or deteriorating further; (2) determine which immune cell population(s) plays a critical role in the immune dysfunction seen in patients with autism; and (3) fully characterize the autoantibody response in a subpopulation of children with ASD and some mothers of children with ASD. It must be noted that due to the highly heterogeneous nature of autism, there will potentially be immunologic differences that relate to sub-groups of patients with autism. Therefore, we will carefully define the study groups based on our current data to include children with early onset autism, children with delayed onset/regressive autism, general population controls, and children with developmental disorders without ASD. The studies will be performed on CHARGE subjects formerly analyzed by our laboratory (CHARGE-BACK study). This will allow us to extend our prior studies longitudinally to determine if the immune dysregulation, such as increased leptin levels in the early onset patients, remains over time. The following aims address both the serologic and cellular aspects of immune function in patients with autism. This contract modification is to extend and supplement Contract HHSN271201000033C, consistent with the scope of work of “Study of Health Outcomes in Children with autism and Their Families¿ in order to access the currently validated database developed under the contract to provide for further analysis . Autism Spectrum Disorder (ASD) is a significant public health concern, with an estimated prevalence of 1 in 88 children in the United States. Much of the research to date has focused on the core social and communication deficits of ASD, but there are anecdotes and some survey data suggesting that the rate of comorbid health conditions may also be elevated in this population. Furthermore, despite several large-scale epidemiological studies that have assessed but not found any potential association between ASD and vaccinations, public concerns persist about such a causal link. At least partly as a consequence, health officials in the United States have reported an increased rate of vaccine refusal in the general population. The Study of Health Outcomes in Children with autism and their Families was begun two years ago. Under this contract, the Contractor analyzed a large dataset of retrospective commercial health plan claims of 46,236 children with ASD, their parents and siblings, and a comparison cohort of children and family members. They successfully completed the analyses requested in the original statement of work, which included a study of the validity of ASD diagnoses in the claims data, and descriptions of health outcomes and health care utilization of the ASD cohort, their family members, and the comparison cohorts. Core 4 is the Molecular Core. It serves as the central resource for the projects that isolate and process RNA on Affymetrix microarrays, and for performing RT-PCR confirmation of the microarray data for those projects. The UCD Affymetrix Core Facility is run by Dr. Jeffrey Gregg and is equipped with fluidics stations, hybridization ovens, and the new scanner required to scan the human Affymetrix U133 2.0PLUS arrays. Preliminary data from the previous CHARGE study has shown that there are changes in gene expression in the blood of children with autism compared to control children in the general population (GP) and to control children with mental retardation and developmental delay (MR/DD). The blood genomic profile in children with autism without regression (A) was different from controls, autism spectrum disorder (ASD) and different from children with autism with regression (A-R). In addition, there is a group of regulated genes in most children with A, A-R and with ASD that are expressed by natural killer (NK) cells in peripheral blood, suggesting an abnormality in this cell type that is common to all types of autism. These NK-cell related genes are expressed by all of the autism phenotypes including A, A-R and ASD, and hence may point to common pathways that underlie the common language and behavioral abnormalities in all three disorders. This core will be utilized by the projects as follows. Project #1: Aim #1: Perform genomic (RNA expression on microarrays) studies on blood from children with autism in the 4-9 year old range, and compare to the blood genomic profiles we have obtained in children with autism in the 2-5 year old age range. Aim #2. Compare gene expression as a function of blood metal levels in both age groups in A, A-R, ASD, MR/DD and GP groups. Aim #3. Examine genomic profiles in pregnant mothers who have previously given birth to an autistic child to determine if there is a specific genomic profile that correlates with whether the mother’s fetus is destined to develop autism. Project #2. Aim #1. Describe the gene expression profiles in the blood using specific white blood cell subsets including NK cells for children with autism without regression, autism with regression, and ASD children compared to GP and delayed children. Aim #2. Examine gene expression following stimulation or activation of specific white blood cell subsets of A, A-R, ASD, MR/DD and GP children with: low level mercury; immune cell stimulation/activation with vaccine antigens and cell-specific mitogens; and xenobiotics. Project #3. Compare gene expression profiles in the blood of children with autism to the blood of experimental animals exposed to toxicants including organic mercury, PCB 95, and PBDE 47 (Project #3). DESCRIPTION (provided by applicant): Few rigorous epidemiologic studies have addressed the environmental causes and biologic underpinnings of autism spectrum disorder (ASD). The CHARGE (Childhood autism Risks from Genetics and Environment) Study is a large, population-based case-control investigation of environmental risk factors, broadly defined, in relation to ASD and developmental delay without ASD symptoms, with referents from the general population. Fieldwork began in 2003, and by now CHARGE has published widely on exposures such as air pollution, mercury, flame retardants, maternal nutritional status in the peri-conception, untreated fever during pregnancy, mitochondrial dysfunction, candidate genes, a wide array of functional immune markers in both the child and the mother, and maternal metabolic conditions including obesity and diabetes. This last finding is notable, given the epidemic of obesity and type 2 diabetes that has occurred in parallel with the steady rise in ASD over the last few decades. Moreover, an emerging literature implicates several endocrine disrupting chemicals as contributing to obesity and metabolic dysregulation, including hyperinsulinemia, and to neurodevelopmental disorders as well. This project therefore builds upon these observations in several ways. First, obesity and type 2 or gestational diabetes will be examined in a larger sample, and glucose challenge test (GCT) results for the first time, to determine associations not only with development of ASD and intellectual impairment in the children, but also with specific speech and language delays, behavioral phenotypes such as attention deficits or hyperactivity, and gene expression. Second, these maternal metabolic conditions will be evaluated for associations with markers of both metabolic and immune dysregulation to be measured in neonatal bloodspots. Third, the predictive value of neonatal bloodspot markers for a later diagnosis of ASD or other child developmental and behavioral outcomes will be assessed. Fourth, the maternal metabolic conditions will be analyzed for potential links with upstream exposures to phthalates and anti- bacterial compounds, ubiquitous chemicals in common household products. Finally, this project will examine how gene variants that play a role in biochemical pathways relevant to the processes under study may influence susceptibility of the mother, the neonate or the child. To ensure adequate power for this analysis of gene-environment interaction, the sample size will be increased to 2400 children. This project addresses several goals set by the NIH Interagency autism Coordinating Committee: 1) to discover environmental factors contributing to ASD, particularly in the prenatal period, 2) to understand biological mechanisms for ASD risk, including gene-by-environment interactions, and 3) to identify children at risk for ASD at earlier time points. Results of this detailed inquir into early exposures, maternal pathophysiology and prognostic markers in the newborn will set the stage for developing prevention strategies. PUBLIC HEALTH RELEVANCE: This project addresses several issues of direct public health relevance, and the science to be produced will lead to benefits in a wide cross-section of the U.S. population. Because obesity is reaching epidemic proportions and other metabolic conditions such as Type 2 diabetes, gestational diabetes, and dyslipidemia are rising steeply, understanding environmental causes has tremendous public health potential for moving us closer to effective prevention strategies. If environmental chemicals used in common household products do prove to adversely affect body weight, measures can be taken to either reformulate those products, removing them from the market, or to educate consumers on how to avoid them. Similarly, steady increases in ASD might be curbed if the postulated causal pathway is supported by the evidence. DESCRIPTION (provided by applicant): Little is known about the etiology or risk factors for autism, a disease affecting 1 in 50 children in the U.S. While genetic and environmental factors are thought to act together, the specific mechanisms are not known and the measurement of environmental risk factors during critical periods of neurodevelopment has been lacking. This case-control study seeks to apply a novel dental biomarker of early life metal exposure, including in utero, to identify risk factors for ASD. Beyond looking at exposure intensity, we will be able to identify differences in exposure timing between cases and controls. This will allow us to identify critical windows when exposure, even at low levels, increases the risk of ASD. Using the proposed biomarker, we will directly assess fetal exposure, and will not rely on maternal biomarkers which may only provide an indirect measure of fetal exposure to metals. This work will have substantial impact on epidemiologic investigations of the relation of early life chemical exposures to ASD and other neurodevelopmental disorders as it can be used to objectively reconstruct both exposure intensity and timing. PUBLIC HEALTH RELEVANCE: Little is known about the causes of autism. This proposal seeks to apply a novel dental biomarker of early life metal exposure, including in utero, to identify risk factors for ASD. Beyond looking at exposure intensity, our application is novel in that we will be able to identify differences in exposure timing between cases and controls. This will allow us to identify critical windows when exposure, even at low levels, increases the risk of ASD.